How much GOLDEN can Samsung's GalaxyS4 be? This is probably the first time that Samsung has got its strategy wrong. Copying Apple colours is simply not done. However Samsung seems to think that joining the Golden Gang will get its flagship Samsung Galaxy S IV a few more buyers. 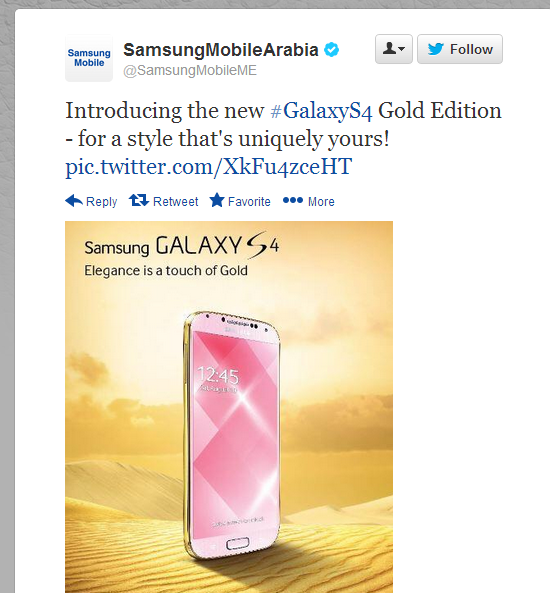 @SamsungMobileME Samsung, the Copy Pasterino Company..
@SamsungMobileME #GoldEdition ?! maybe u should rename it into #Galaxy #5S ?